Retired Engine Driver John Anthony has submitted a guest blog post, sharing his experience of the only surviving N15 class. Without further ado, here is John’s sixth piece on his driving experiences! loco yard friends of mine, there’s a spitfire that roamed the the railways when i was a volunteer steam driver at Skipton! Yes a spitfire!!! Open the firehole door when climbing up to Ais Gill summit, with the fire as hot as a falling meteor and PING! This loco spits fire! 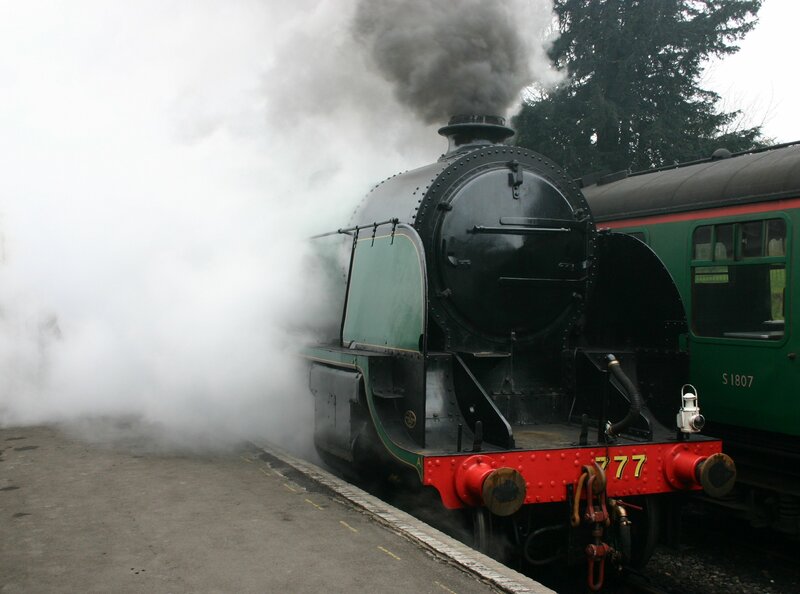 A white hot ember once dropped into my footplate inspectors pocket and set an oily rag he had in there on fire! She once shot fire balls onto the lineside by wild boar fell and the job was stopped! And what was this fiery beasts name and number? 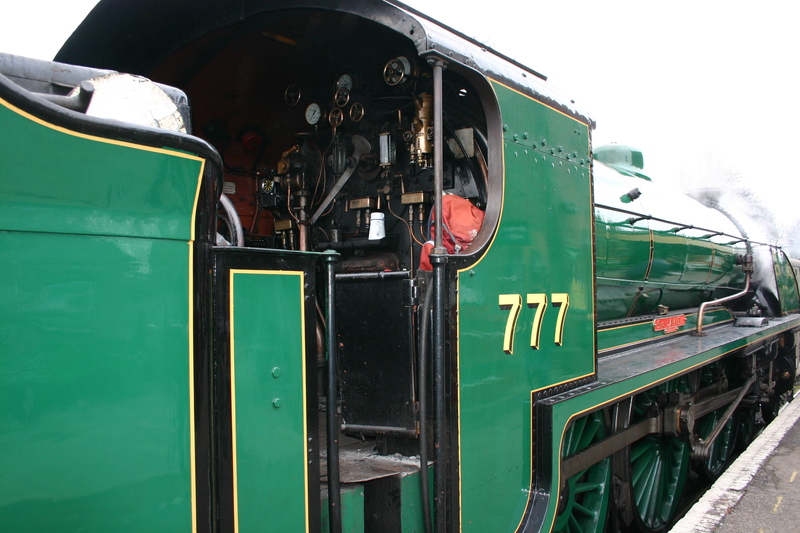 the dreaded 777 “SIR LAMIEL” the “SPITFIRE! 15/12/2014 in Guest Blog Post, Real Locomotives.